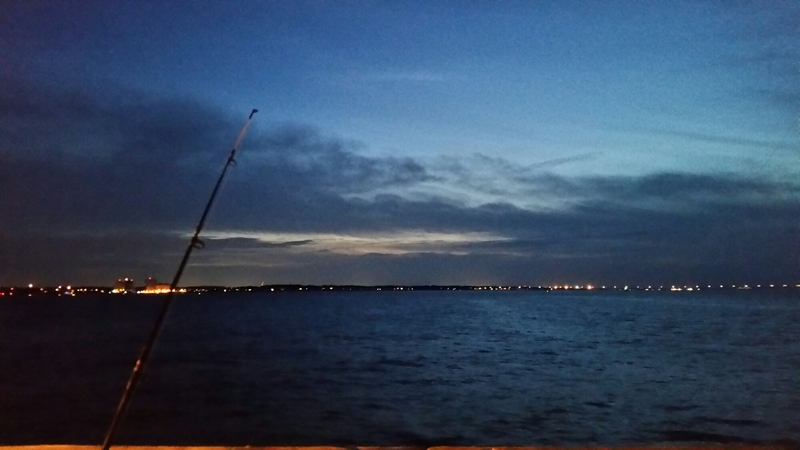 Night fishing tonight on the Lynnhaven Inlet Fishing Pier. Mother nature is fooling me tonight with her steady breeze & a cool 72°, you’d almost forget it was mid July! Not much to report for a catch but the views are to die for. This entry was posted in Travel and tagged fishing, Friday Night, solitude. Bookmark the permalink. I am actually in Southeast Virginia. The Lynnhaven Inlet is part of the Chesapeake Bay watershed. I was fishing right on the tip of Virginia Beach near the 17 mile bridge that leads to Eastern Shore. That is so cool! Beautiful picture too!